New Jersey Gov. Chris Christie today signed a bill banning so-called gay conversion therapy, also known as reparative therapy, or the practice of trying to change a person's orientation to heterosexual from homosexual. Christie had previously said that while he opposes the practice, he did not want the government to interfere with parents' decisions about how to care for their children. He had not said whether he would sign the bill passed by the state legislature in June. In a statement today, however, Christie said, "At the outset of this debate, I expressed my concerns about government limiting parental choice on the care and treatment of their own children. I still have those concerns. Government should tread carefully into this area, and I do so here reluctantly. I have scrutinized this piece of legislation with that concern in mind." Christie also noted that the American Psychological Association has found that efforts to change a person's sexual orientation can pose "critical health risks including, but not limited to, depression, substance abuse, social withdrawal, decreased self-esteem and suicidal thoughts." "I believe that exposing children to these health risks without clear evidence of benefits that outweigh these serious risks is not appropriate," Christie said. New Jersey becomes the second state in the country, after California, to ban the practice. It became an issue in the 2012 presidential race with the revelation that Minnesota Rep. Michele Bachmann's husband, Marcus, was practicing the therapy at a counseling center he owned. Christie has previously said he believes that people are born gay and it is not a sin, something that could possibly put him at odds with Christian conservatives, especially in an early-voting state like Iowa, who believe the opposite. 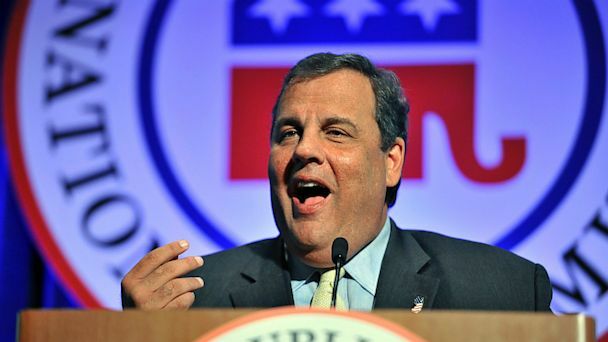 Christie is a possible 2016 presidential contender. This is the third major legislative decision Christie has made in the past few days. He agreed Friday to expand the state's medical marijuana program, allowing the state's dispensaries to provide edible marijuana to sick children. He vetoed part of the legislation that would allow children, like adults, to be prescribed marijuana by a doctor registered in the state. Instead, parents must have a letter of support from a psychiatrist, as well as a pediatrician, and a doctor registered in the program. The New Jersey governor, 50, also vetoed a bill Friday that would have banned a powerful kind of assault weapon, the Barrett .50-caliber, long-range rifle. After the Sandy Hook School shooting in December, Christie initially expressed support for banning the weapon, but on Friday said the bill went too far making owners of the weapon get rid of theirs. Christie spoke last week to Republican operatives and the party chairman at the Republican National Committee's summer meeting in Boston. His message was to focus on winning and he dropped some less-than-subtle hints that the way he has brought together different coalitions of voters in New Jersey, including Democrats, is the way to win going forward. There will be more politics this week when he endorses and campaigns with his old rival Tuesday. He will formally back the former mayor of Bogota, N.J., and conservative activist Steve Lonegan in the New Jersey special U.S. Senate election (where he is running against Newark Mayor Cory Booker). According to both camps, Christie and Lonegan will have an event together at the Hunterdon County GOP headquarters in Flemington, N.J., Tuesday afternoon. The two faced off against each other in 2009 when running for the GOP gubernatorial nomination in the Garden State. Christie beat Lonegan and then went on to beat Gov. Jon Corzine.